After months of warnings and signs of the obvious, the debt ceiling was finally hit by the United States on Monday. 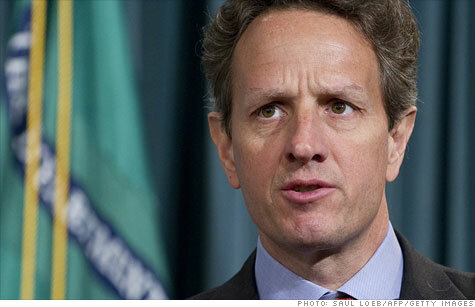 The news was reported to Congress by the Secretary of the Treasury himself, Timothy Geithner. Geithner informed Congress of some tough decisions he had to make in order to try to keep the debt from swelling at the increasing rate it has been. The first thing he told the men and women of the United States Congress was that in order to give them room to borrow more money to support the debt, he is going to suspend federal retirement funding investments until the second of August. Geithner did make it clear that “federal retirees and employees will be unaffected by these actions,” and that once the debt ceiling is increased and thus alleviated, the funding investments for federal retirements would resume as they once were. However, Congress says it will not simply raise the limit without an agreement on spending cuts that would help balance out the economy. The demands are fair as it would be counterproductive to encourage more borrowing without working on lessening the debt at the same time. Geithner made it very clear to members of Congress that in about eleven weeks, his hands will be tied. He said that if by August 2nd, there is not an agreement to cut spending and a plan put into action to reduce the national debt, then the United States will simply not have the available funds to pay off its bills. Today, the debt ceiling sits at an astronomical 14.294 trillion dollars. Monday morning, the United States debt hit that breaking point. Geithner’s decision to suspend federal retirement funding for eleven weeks is going to give the American government just enough space to continue borrowing for the time being. History shows that the debt ceiling is likely to be raised. The Congressional Research Service reports that since March of 1962, just under fifty years ago, the debt ceiling has been raised 74 times. That’s an average of more than once per year. There are a few things that can happen. The most obvious is that once again Congress will raise the debt ceiling. After all, with the United States being the dominant economy in the world by buying and selling to everyone and being the main financial support of nearly every international organization, it would cause an international economic collapse to stop lending to the United States. The second option is for Congress to finally put its foot down and demand that the debt be taken care of. But, if that were to happen, we would be left with a question that we cannot answer right now. What would happen if we do not have the ability to borrow on our debt anymore?